Once again the Powerball lottery midweek draw failed to produce any jackpot winners so the prize fund has rolled over to create a $90 million jackpot for Saturday’s draw. 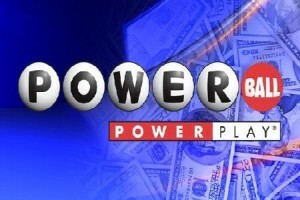 The midweek draw failed to produce any jackpot winners so this Saturday’s Powerball draw is for a $90 million jackpot. On Wednesday’s draw there were two players, one in Florida the other in Iowa, that matched five numbers with the Power Play option to win $2 million each. There were a further five players without the Power Play option that matched five numbers to win $1 million each. In total $13,811,668 in prize money was awarded to 382,490 players. To enter the Powerball players need to pick 5 numbers between 1 and 59 and a Powerball between 1 and 35. Each line of numbers costs $2 and there is no limit on how many can be purchased for each draw. The Power Play option costs an additional $1 per line but has the potential to significantly increase payouts. Tickets are available either at Powerball vendors across the United States or via a number of websites. To win a prize, players must match at least the Powerball or three standard numbers without the Powerball. The jackpot is won by matching all six of the numbers.